Here at EFM Health Clubs Woodville we provide cost-effective health and fitness solutions for all fitness levels. 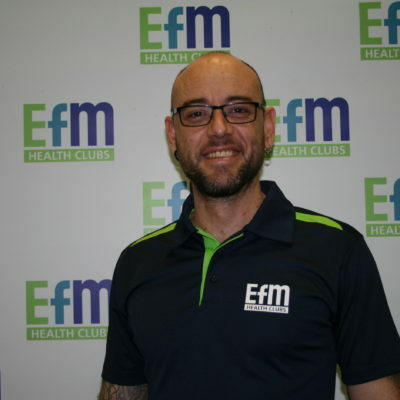 As a valued EFM Member, you will have a qualified Fitness Coach on hand every session to provide encouragement, motivation, and the guidance you need to achieve your goals. We are open Monday to Friday in the Morning from 6:00am-9:00am, Lunch from 12:00pm-2:00pm and Evening 3:30pm-7:00pm. EFM Health Clubs Woodville is located on level 3 inside The Queen Elizabeth Hospital and the club is equipped with modern equipment, showers, and air-conditioning with car parking and a great view. We provide a variety of daily programs, so you’ll never get bored. Including Circuit Training, Boxercise, structured weights programs, HIIT classes, and regular Stretch and Mobility classes. It’s not just a gym, it’s a community.